Lady Justice is a common sight in any legal setting; she’s the personification of justice itself. She’s almost always seen holding a set of scales in her left hand, wearing a blindfold, with a sword. 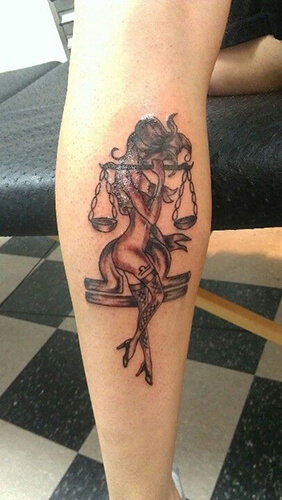 Lady Justice and scales go hand-in-hand, literally, and have since ancient times. The ancient Egyptian Goddess Isis, and the ancient Greek Goddesses Themis and Dike were the embodiments of morality, law, order and justice in their cultures. These deities, including the Egyptian God Anubis, were frequently seen holding or near scales, where they would be weighing one’s heart against the Feather of Truth to determine one’s fate in the afterlife. 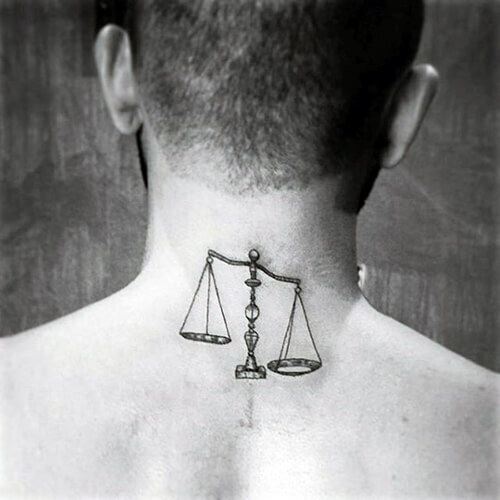 Pairing a woman with a scale tattoo design is great way to represent justice, or injustice, in one’s life through their body art. 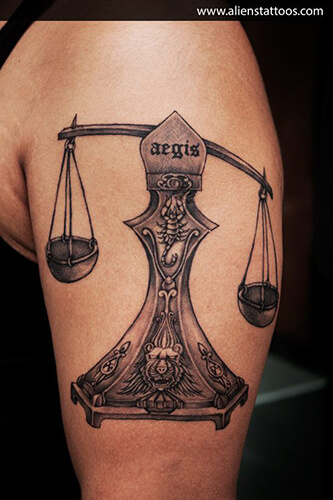 Some people are proud of their horoscopes and the astrological qualities they posses, so repping yourself as a libra is a common design choice for scale tattoos. 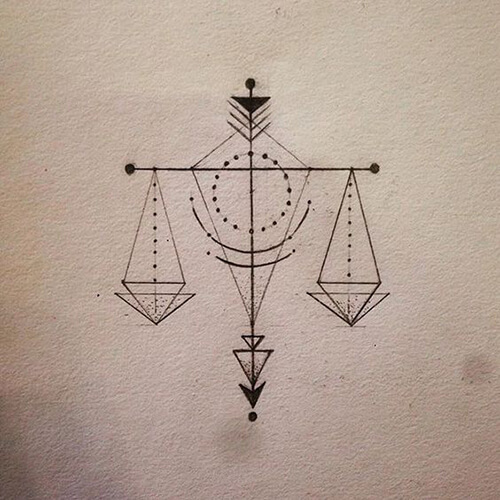 It’s said that Libras are people who cherish balance in life, and avoid conflict whenever they can. They prefer peace over anything, and weigh out their options to keep things that way, which makes the scales a perfect symbol for these personality types. 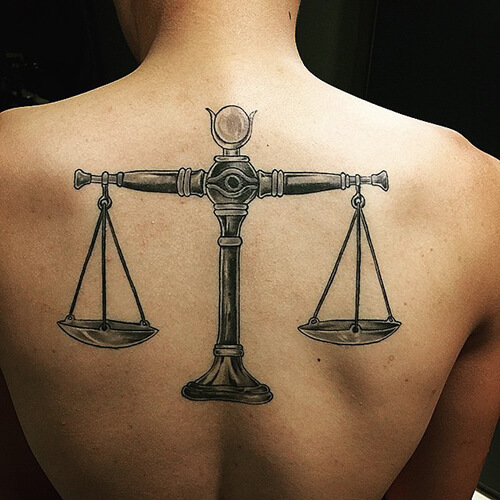 There are other tattoo design options that represent this star sign, but scales and the libra sign are closely associated with one another. 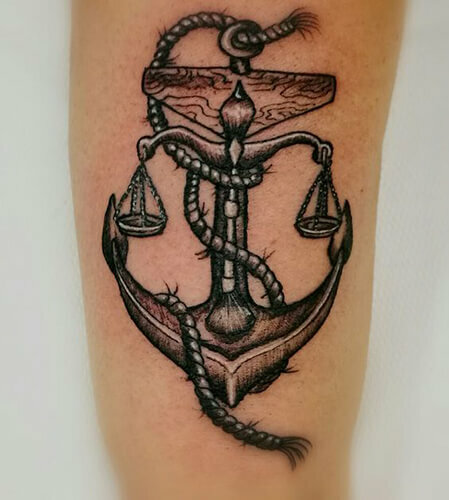 When a set of scales is used on its own as a tattoo design, the meaning can be somewhat ambiguous. This is a great idea if you want a tattoo that has personal meaning to you, but isn’t overtly obvious in what that meaning is. Scales be representative of weighing out options, or pros and cons, during an important life decision. They can also represent an injustice, depending on which end your scale tips at. 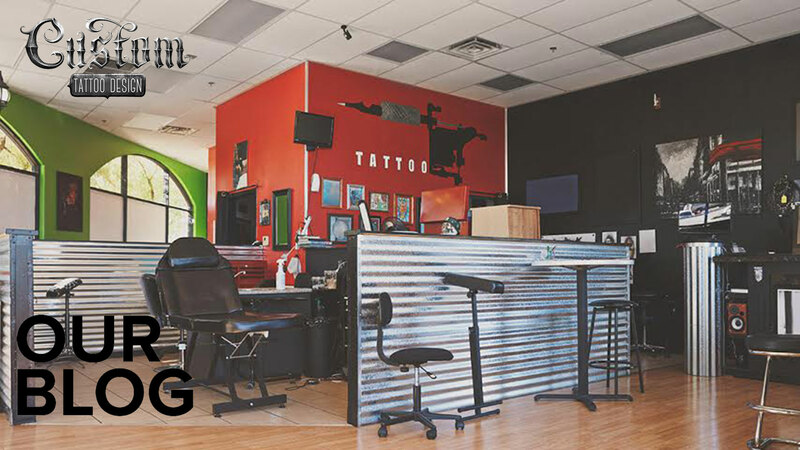 Scale tattoos as a standalone design can be an awesome minimalist piece, and you can add any number of details to customize the meaning. A clock with scales, for example, could mean that you’re unsure of time or aging, and are conflicted about life passing you by. 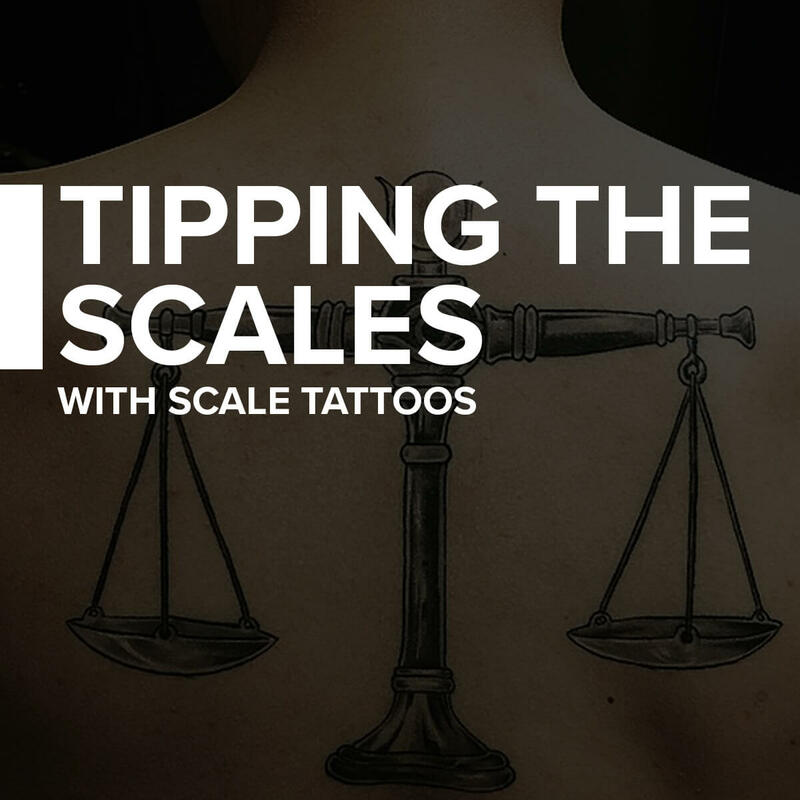 Whatever it is that you want your scale tattoo to signify, it’s a simple and versatile design that you can easily customize and make your own. 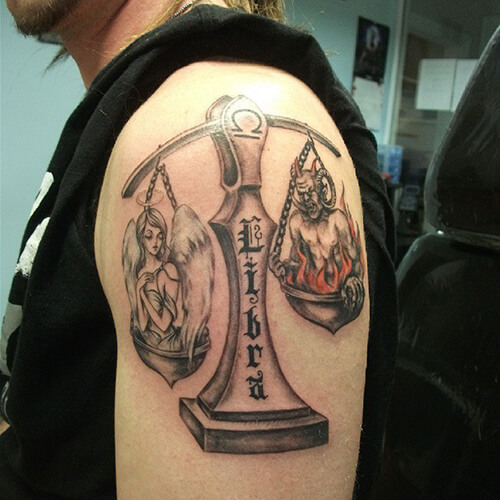 Scale tattoos can represent a few different ideas, but the main ones are justice and the Libra horoscope sign. 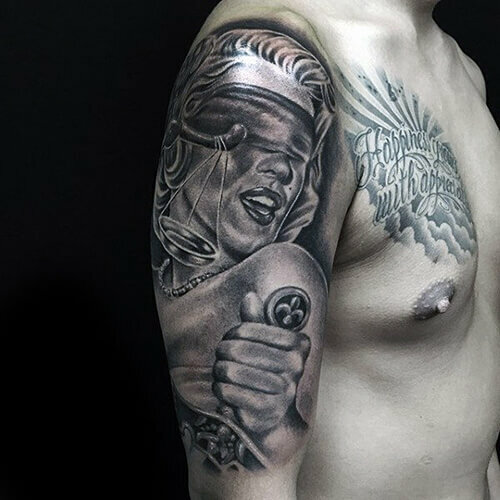 This is one tattoo design that can be successfully done in any size, on any part of the body, allowing for a ton of creative freedom for you and your artist. 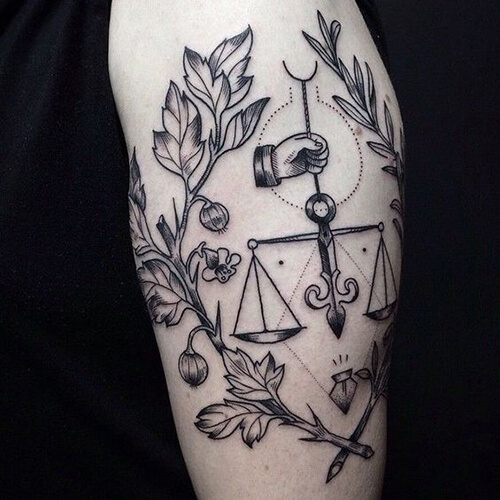 If you’re a proud Libra, or you’re facing an important life decision, a scale tattoo could be a great way to pay tribute to these things. Do you have a scale tattoo? Let us know in the comments!